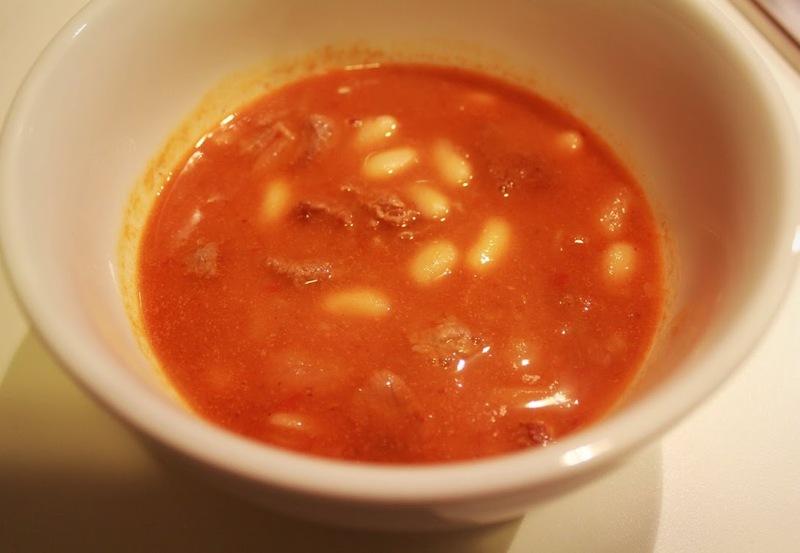 Traditionally dried haricot beans and braising steak would be used for this hearty stew – however for those of us who havent got time to soak beans over night and stew meat for 3 hours, my quick Kuru Fasulye recipe gives the same warming results in just a fraction of the time. Brown meat in 1 tbsp olive oil over a medium flame and add onions, heating until translucent. Drain beans and add to pot, stirring around for a minute or two. Dissolve tomato and pepper paste in a cup of hot water and add to pan, along with a further 5 cups. Bring to a simmer and cover. Cook for 45 minutes, stirring gently from time to time. The beans should be whole, not mushy. Season to taste (adding a pinch of chili if you prefer) and serve with pilaf and bread. For more savoury recipes click here.. Or dessert? Here!